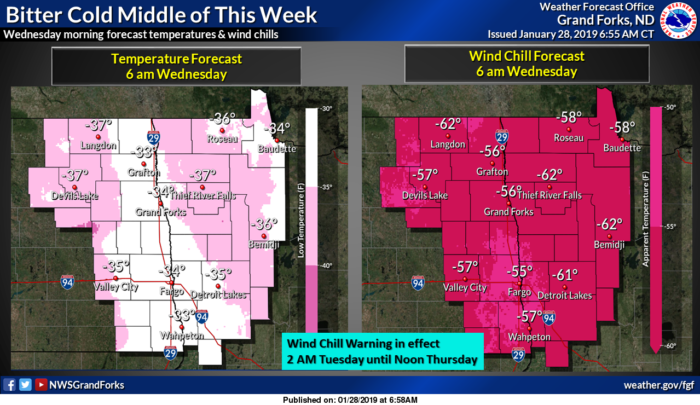 A life threatening push of Arctic air is headed for the Upper Midwest this week. Temperature records could fall in numerous states as lows plunge well into the double digits below zero. For many spots, this will be the coldest air since 1996. Cold air will settle into the Upper Midwest tonight and stick around through the end of the week. The coldest days will be Wednesday and Thursday. 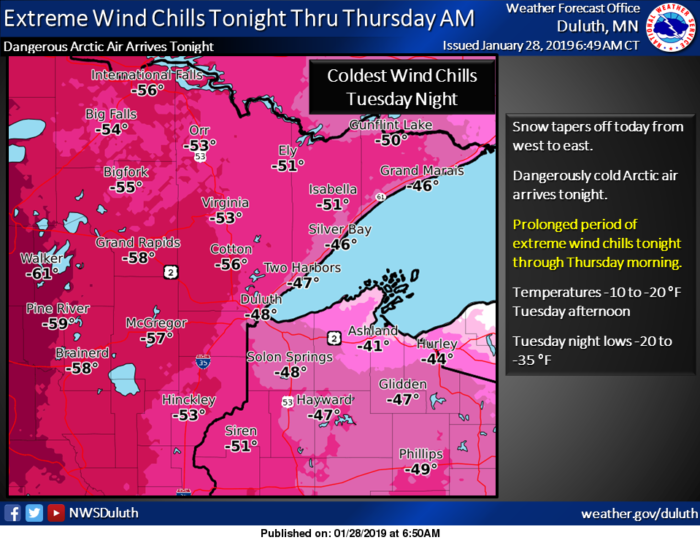 Wind chills in far northern North Dakota and northern Minnesota could drop to the 60s below zero. Actual air temperatures will drop well below zero as well. Lows in the teens below are expected as far south Iowa and Illinois. Wind chills will drop below zero well into the mid section of the country. This is life threatening cold! 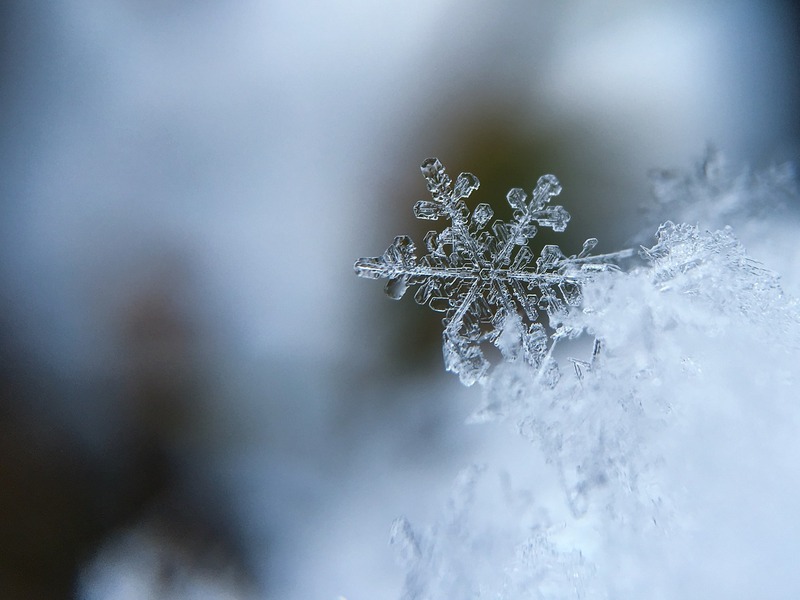 Frostbite could occur within 10 minutes and hypothermia would set in within minutes after that. Be sure to wear multiple layers. Cover ALL exposed skin: mittens, hat, scarf, face mask, etc. Do not drive if you do not have to! If you do drive, make sure you have a cold weather kit in your car.